In 1997-1999, Guitarist Riki Kinoshita was a solo artist from Osaka from 1997-1999. With the help of supporting musicians Hinata Hidekazu and Sakurai Yuichi, he released his first album, Teenage Last, in 1999, along with two other demo tapes. Kinoshita later asked both of the musicians to join the band he was starting, and he later recruited guitarist Oyama Jun for the band. Art-School quickly rose in popularity after traveling to Tokyo and playing their first performance at Shelter in Shimokitazawa. They released their first album, Sonic Dead Kids, in September 2000, under the indie label 123 Records. In 2001 was a busy and crucial year for Art-School. They later released a free demo tape in Febuary 2001, and two months later they released Mean Street , their first mini-album. To accompany the release of Art-School’s first single, Miss World, their first PV was filmed. In,2002, Art-School’s performance at the Fuji Rock Festival proved to be the one that led them away from their quiet indie days. Art-School’s growing popularity attracted the attention of Toshiba’s Entertainment and Music Industry, who then licensed them in 2002. Later that year in 2002, Art-Schoool released a split tape with Straightener. Diva (Oct..2002) was the first single to be released by Toshiba EMI. 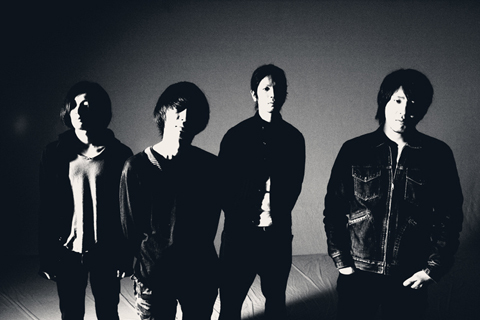 In 2003, The dawn of 2003 marked Art-School’s first completely sold-out performance and their uphill journey to fame in the competitive music world of Japan. The Love/Hate tour was sold out in many locations. Bassist Hinata Hideaki and guitarist Oyama Jun announced their departure from the band later that year. Oyama intended to leave because of fatigue, and Hideaki sought out other projects to pursue. Hideaki has since joined Zazen Boys and Straightener. In 2009, For an obscure reason, the Drumer Yuichi Sakurai decide to leave the group. Hiroyuki Suzuki become the new Drumer.